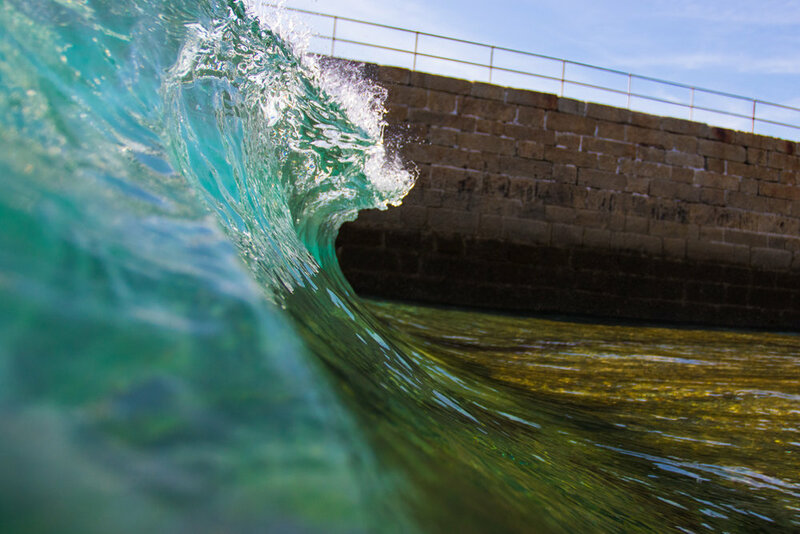 Earlier this year I was getting changed into my wetsuit next to the harbour at Porthleven. I got chatting to a lady who was a local; I'm guessing she was probably in her sixties or seventies. She told me that she used to be a Porthleven swimming champion in her youth. Apparently, her father was a Porthleven fisherman. One day when she was a child he took her out on his boat, and when they were just outside the harbour, he threw her over the side and told her to swim back in to the harbour. That was how she learned to swim!!! In those days they had swimming galas in the harbour and in the years to come she won plenty of races and accumulated many trophies. She subsequently married and moved abroad for a number of years. On her return she went back to the family home, and searched for her trophies but couldn't find them. She asked her Father where they had gone, his response was "oh, I sold them so I could go and have a drink down the pub". She seemed pretty amused telling the story so I guess she forgave him over time!